Two lies told on memorial weekend: a. I will eat healthy and b. "Oh yeah this suede fabric will not fray". I had really wanted to leave the edge of this skirt raw but it was not an option. Personally, I am not a fan of fabric hem glue. This skirt took no time to sew but I had to create a facing for the bottom because the skirt just looked wonky with the edges turned and sewn. I was very inspired by this Reformation skirt. I had a fun time making it, but I am still lusting after the original one!! 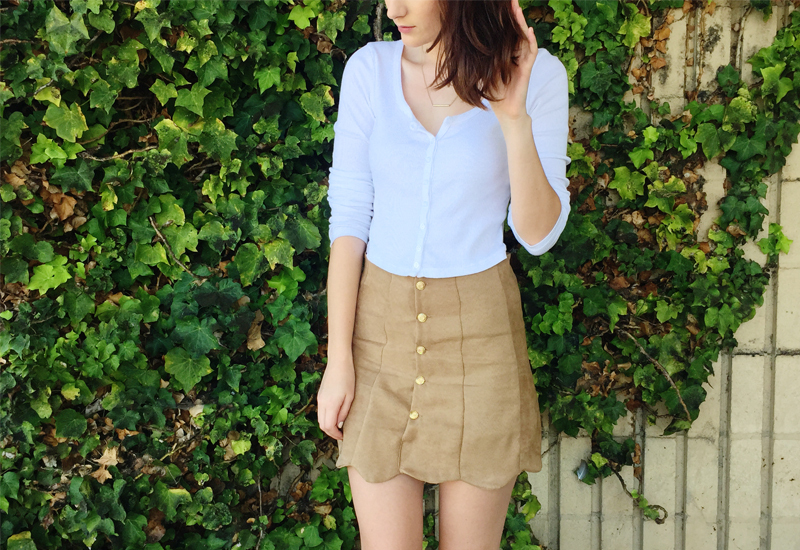 Fantastic skirt, you look great in this girly outfit!